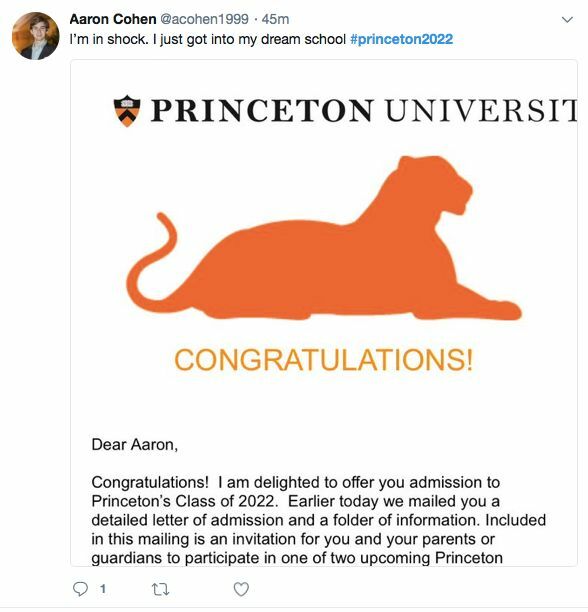 At 7 pm, Princeton University released its regular-decision admission results for the class of 2022. Princeton accepted 5.5 percent of its record 35,370 applicants, making this the school’s most selective admissions cycle to date. The acceptance rate was 6.1 percent for the Class of 2021. The 1,941 accepted students join the 799 students from the early-action applicant pool who were offered admission in December. The admitted students include individuals from 48 states and 77 countries. 12 percent are international students. 50.5 percent are women and 49.5 percent are men. 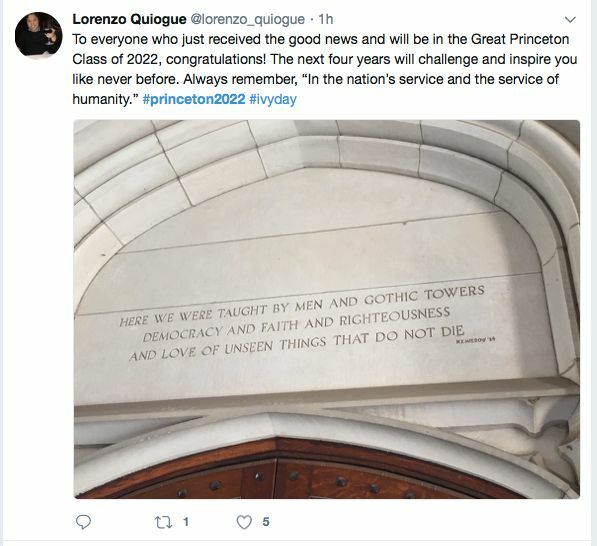 17 percent of admitted students will be first-generation college students, 53.4 percent self-identify as people of color, and 11.2 percent are children of Princeton alumni. Olympic gold-medalist Chloe Kim is also among the students admitted to the class of 2022. At 17 years old, she is the youngest woman to win a Olympic gold medal in snowboarding. May 1st is the deadline for admitted students to accept Princeton’s offer of admission. Congratulations to all the future Tigers! Here’s some of what Twitter had to say, share your reactions with us!